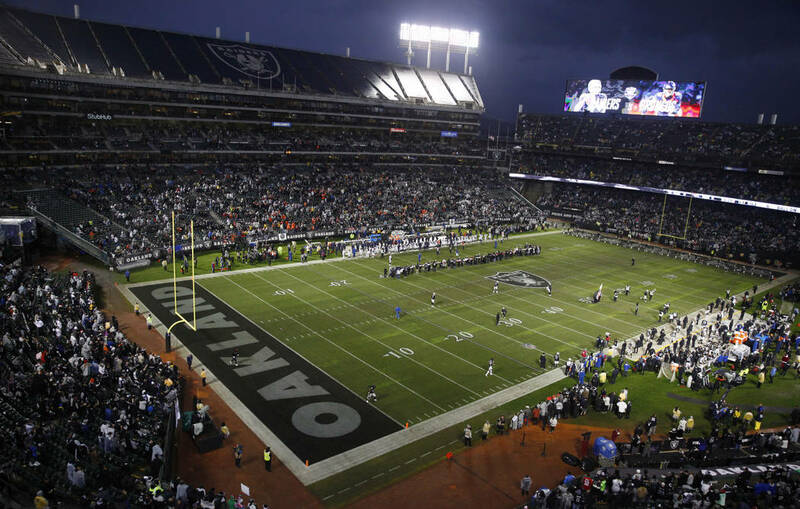 The Raiders and Broncos engaged in a Monday Night Football contest between AFC West sides with no playoff plans, but there was a far more significant narrative inside the rickety structure known as the Oakland-Alameda County Coliseum. 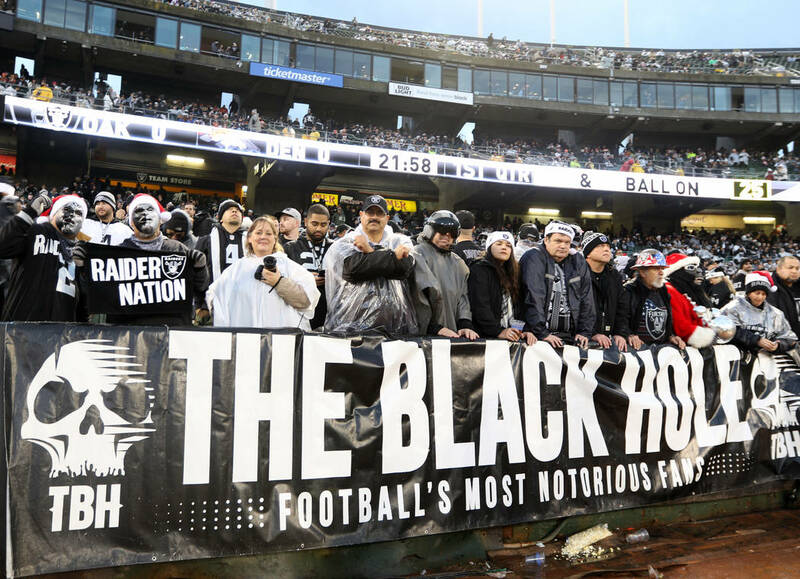 BLACK HOLE, Calif. — The plan has always been to have his ashes spread here, across the surface that played host to so many memorable moments in Raiders history, a sort of permanent ode to his silver and black faith. 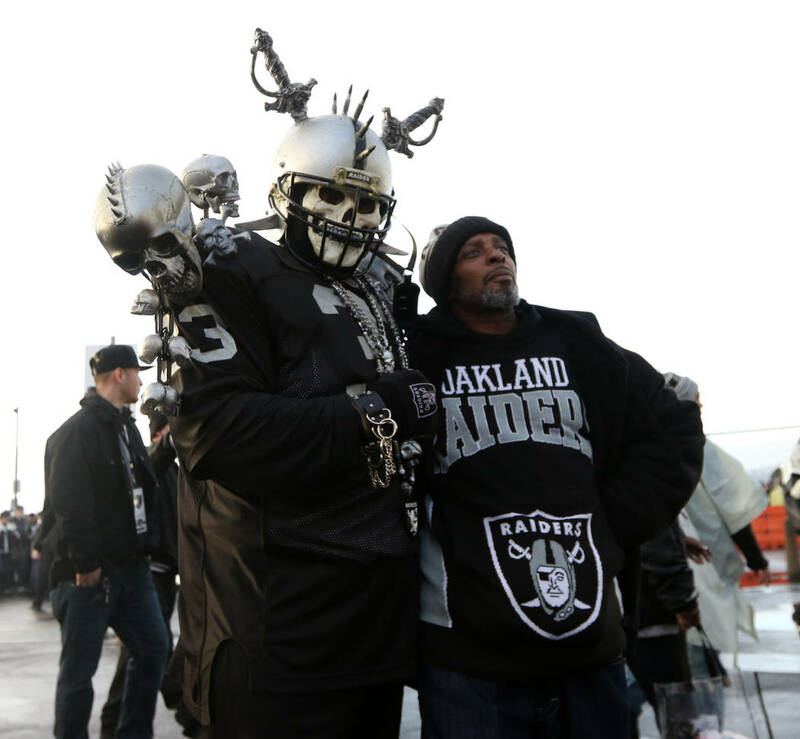 Not to mention his skull spiked shoulder pads and fierce skeleton helmet. 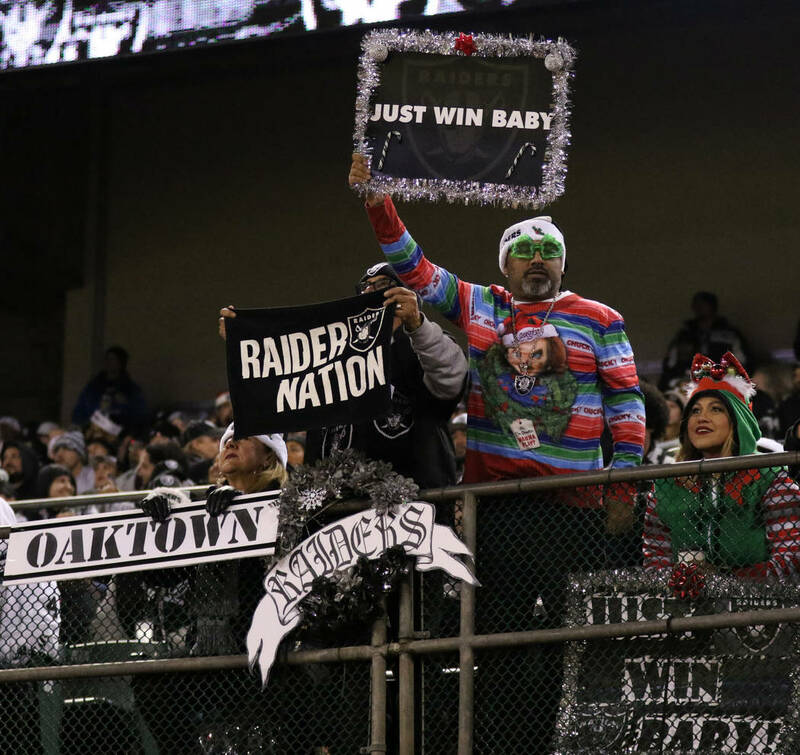 Blustering in from the sea and a swirling Christmas Eve storm is right, came so many impassioned Raiders fans on Monday evening, perhaps their final opportunity to pay homage as only they can to their beloved team at the Oakland-Alameda County Coliseum. 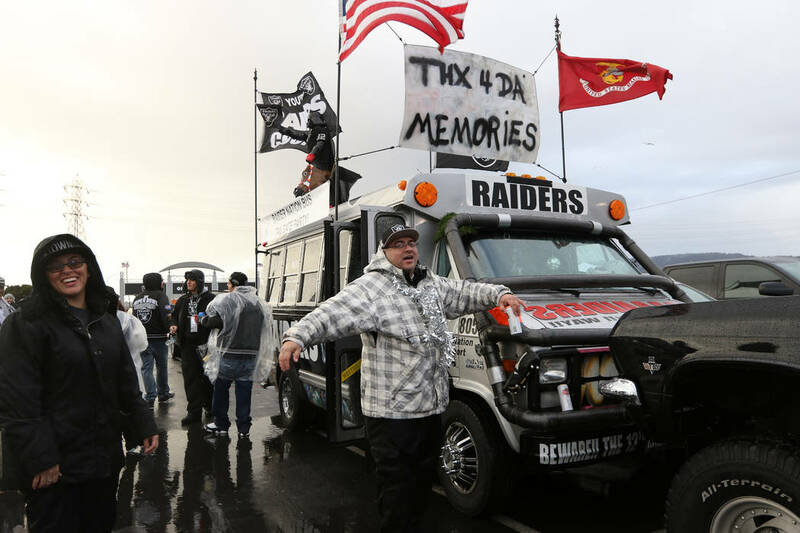 The Raiders and Broncos engaged in a Monday Night Football contest between AFC West sides with no playoff plans, but there was a far more significant narrative inside the rickety structure that produced the Heidi game and the Sea of Hands playoff victory and many other unforgettable results since first hosting games in 1966. 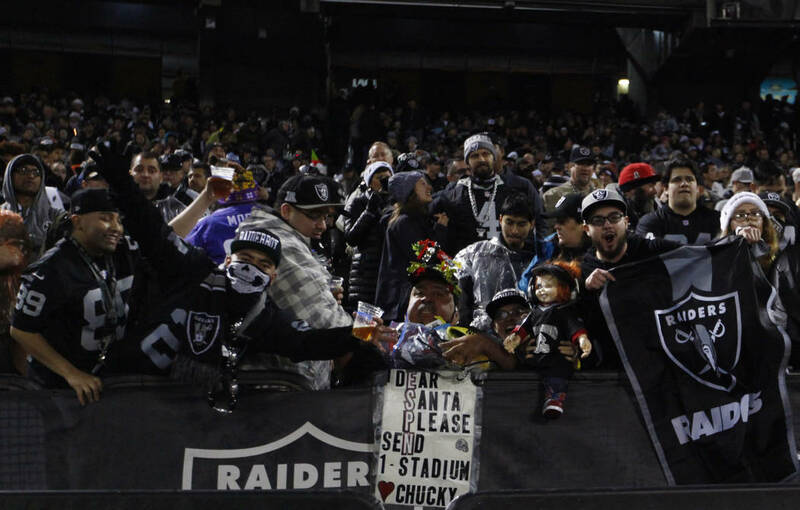 The Raiders head to Las Vegas in 2020, where a state-of-the-art domed stadium will welcome them to a new chapter of the franchise’s journey. 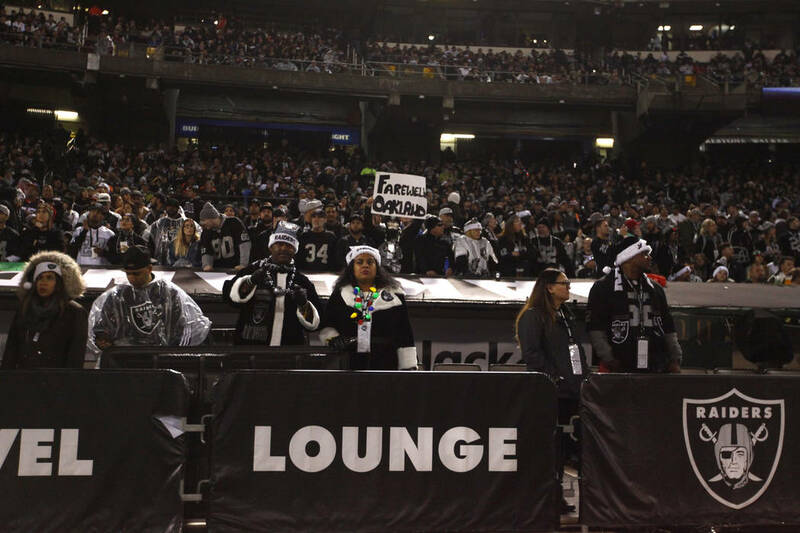 But first comes the 2019 season, and where the team will play home games remains a bigger mystery than who coach Jon Gruden might fire or cut next. 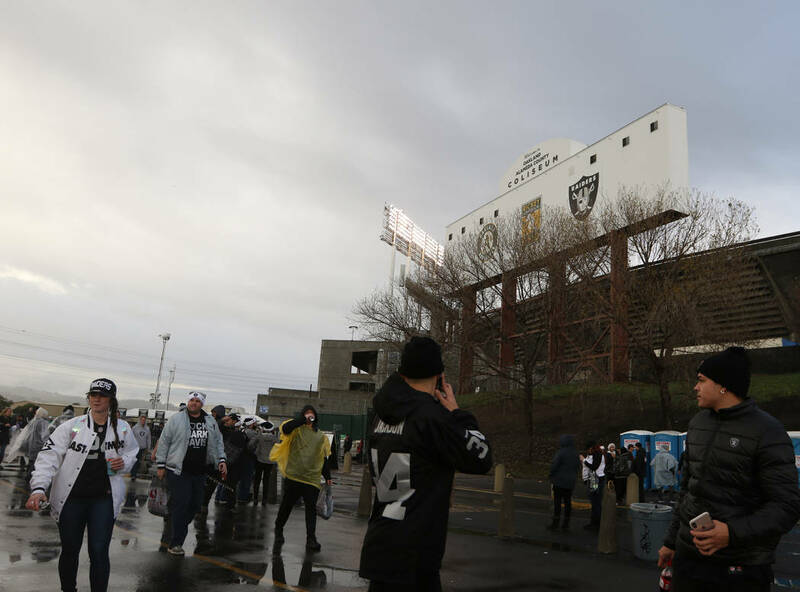 The city of Oakland recently sued the Raiders in federal court, contending the team’s relocation to Las Vegas is illegal while asking for hundreds of millions of dollars in losses. 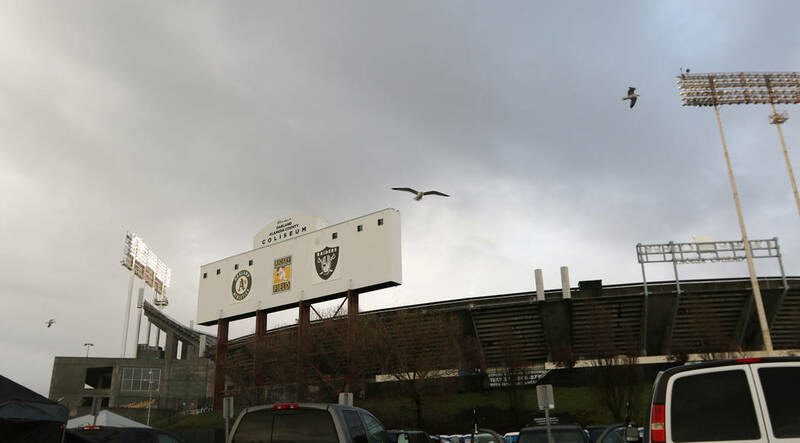 The team responded by pulling a proposed lease deal for the Coliseum in 2019 off the table. 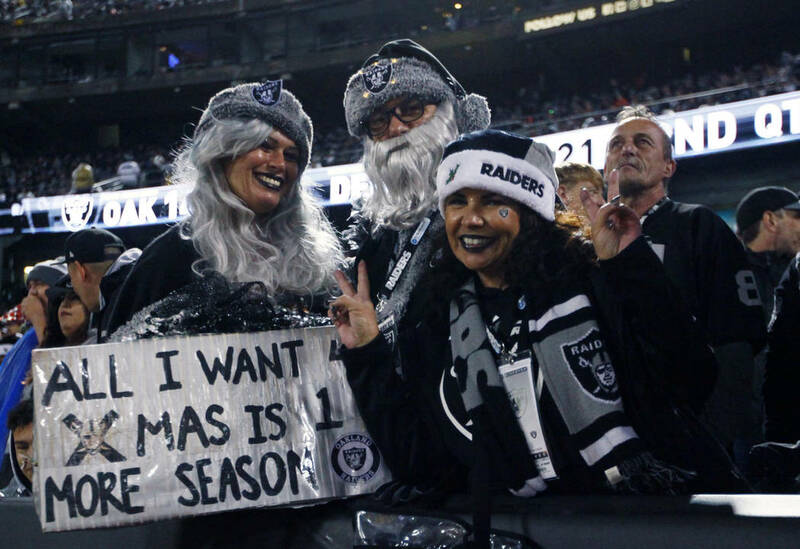 Hence, the conundrum about where to host regular-season games next year. 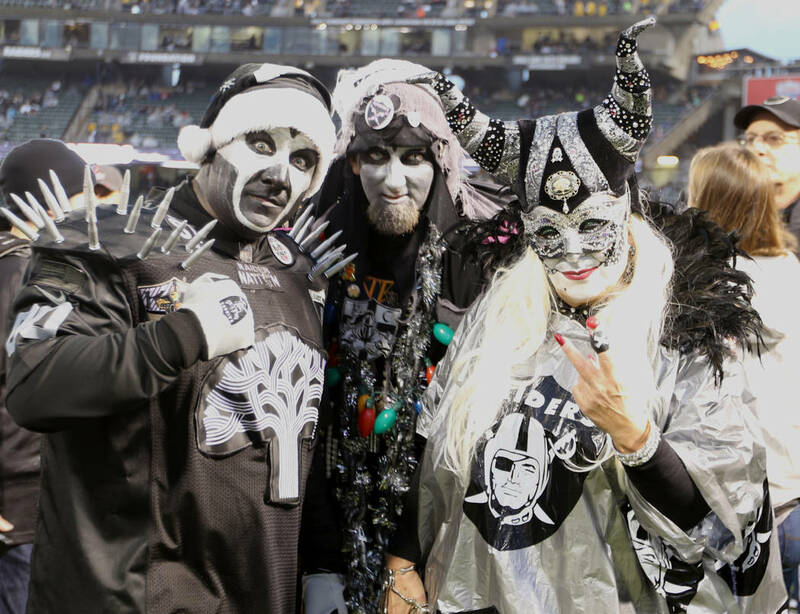 None of that mattered Monday night to those fans most invested in all things Raiders, those who have always embraced an underdog and outlaw image, dressed in intimidating and eccentric costumes, alter egos created among the characters who exist among the end zone seating known as the Black Hole. 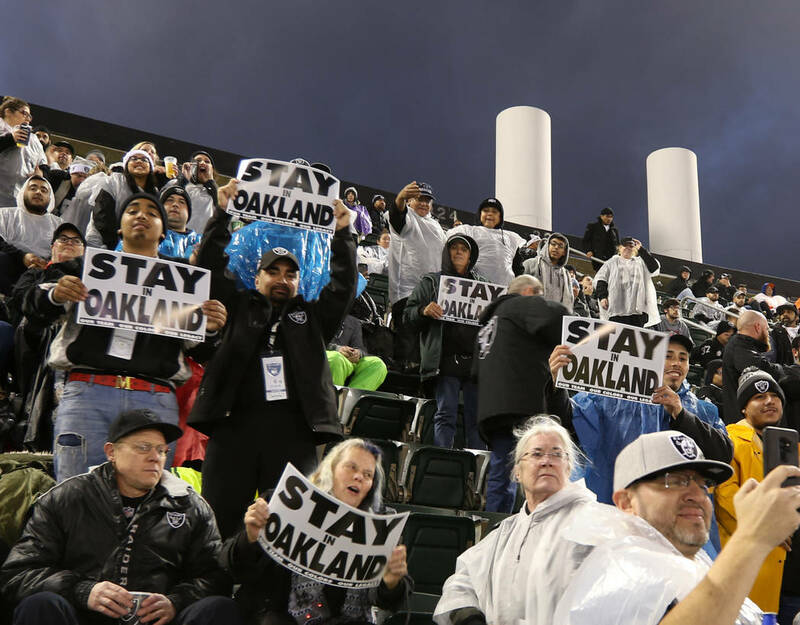 It seemed as though even a higher being might have felt a tad despondent at the idea of the Raiders never again emerging from those dark and aged tunnels, as the skies opened before kickoff, from which fell heavy showers made even more blustery by strong winds. 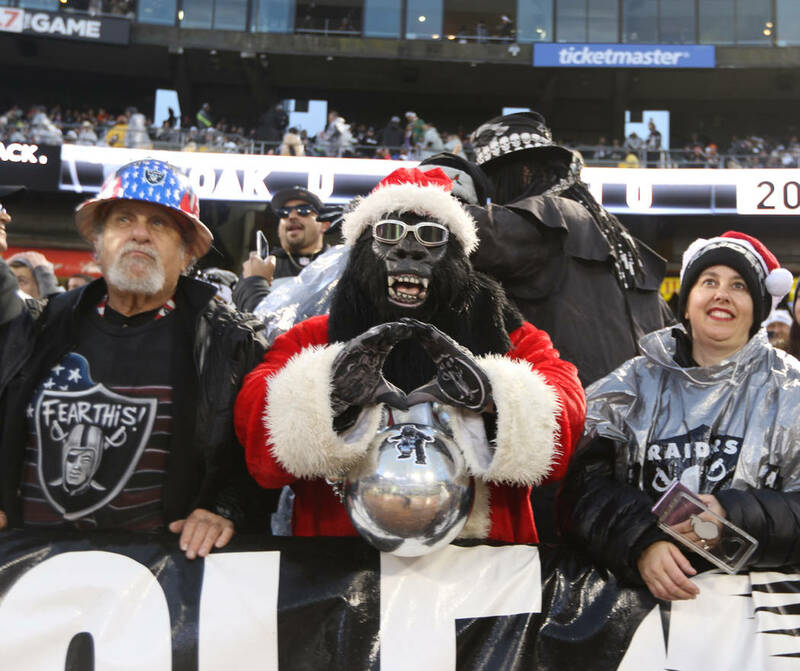 And the trees all shake and quiver and quake is right, again, the weather being no deterrent from those who traveled near and far to witness what is thought a final performance by the Raiders here. 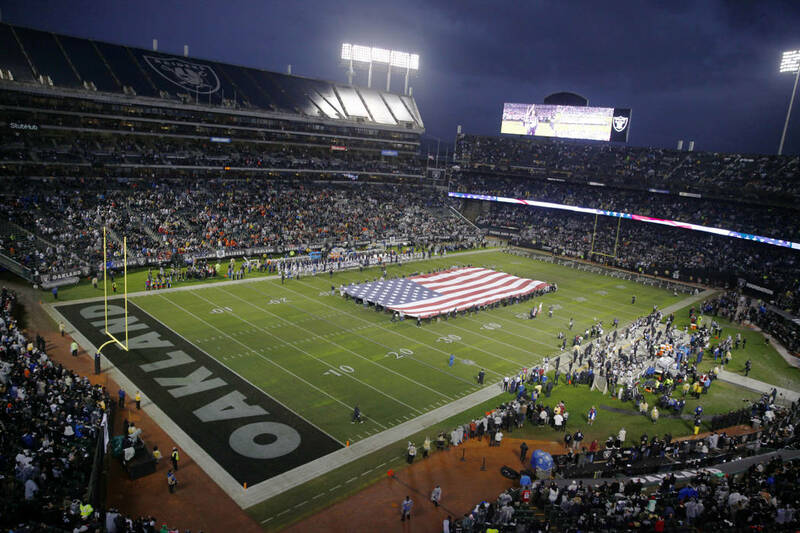 An hour before injured running back Marshawn Lynch became perhaps the final person to light the Al Davis “flame that burns brightest” torch in Oakland, James Godley stood in the Black Hole and scanned the field where he had instructed his son to one day spread his ashes. Godley was dressed, as he has the past 17 years, in a menacing costume complete with skull heads adorning each shoulder. 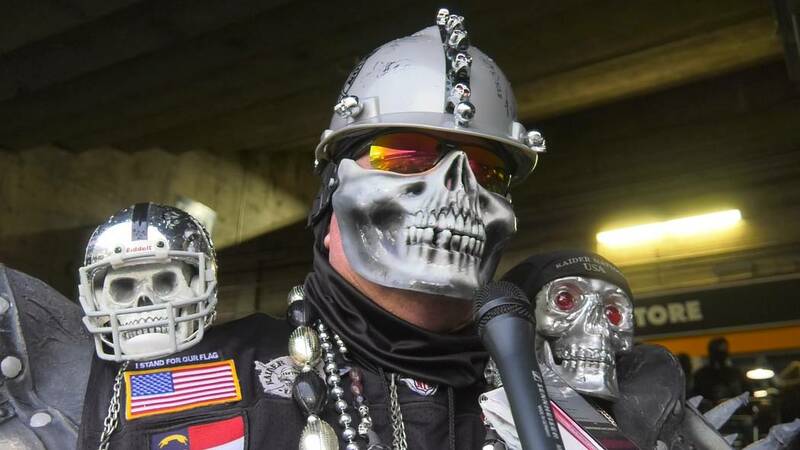 “I used to paint my face, but my wife said she wouldn’t go to games with me because I looked like I was on crack,” said Godley, 55 and a resident of New Bern, North Carolina. “That’s when I went with a helmet. I was 7 years old when we moved into a new house in North Carolina and the people next door had left an Oakland A’s batting helmet and Oakland Raiders helmet in their sand box. 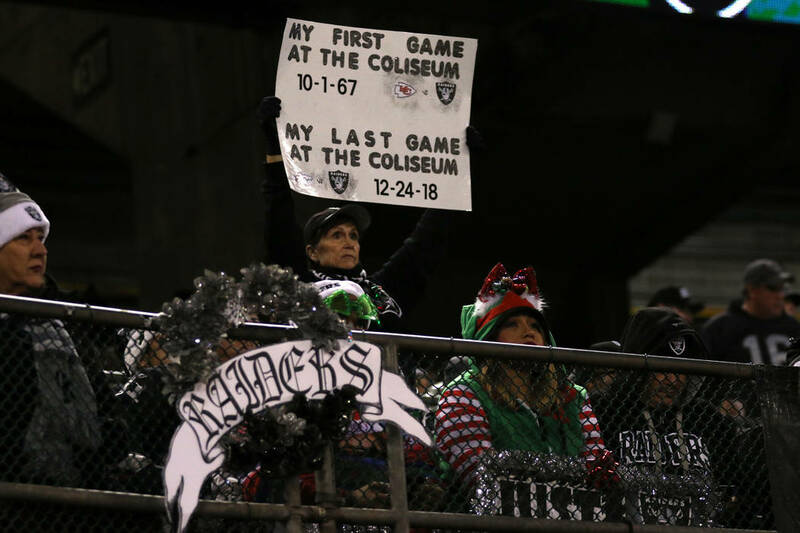 On this Christmas Eve, the Autumn Wind really was a pirate, his face weather beaten from the pouring rain and his words pained by the thought of this rickety structure playing host to the Raiders one final time. There would be no pillaging just for fun this night.